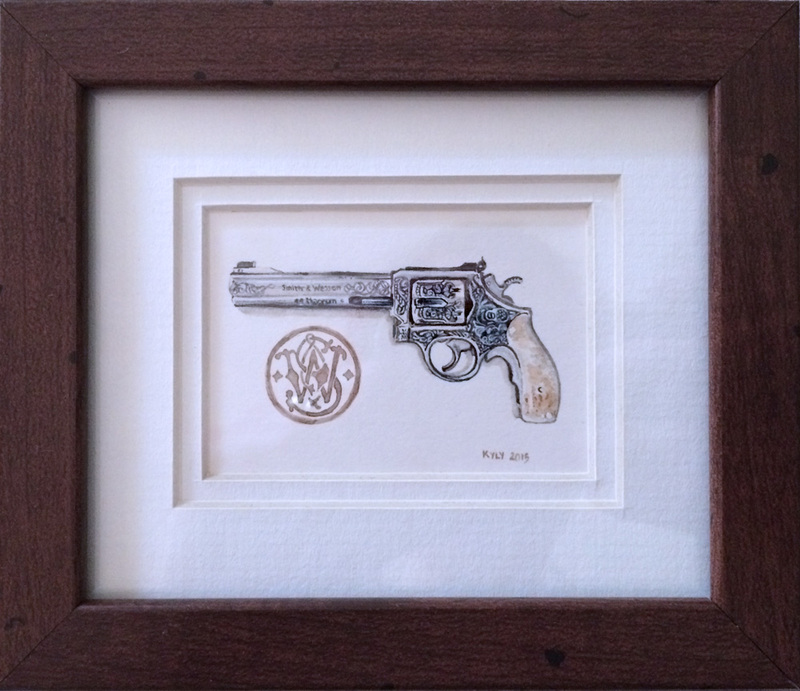 Miniature watercolour painting of a Smith & Wesson .44 Magnum for my Dad’s birthday. The painting itself is 6.5cm x 4.5cm. Yes, my paintbrush has three hairs. This is so lovely, and beautifully presented. What a brilliant gift. Also at first I read you had painted it WITH a smith and Weston. I was thinking that was some insane talent ! Hahaha! That would have been some insane talent! Thanks for the compliment 🙂 The painting was very well received. Lovely. I never thought a gun could look so hypnotic.